Dead or Alive 5 (DoA 5) will hit North America on Sept. 25 for Xbox 360 and PS3. 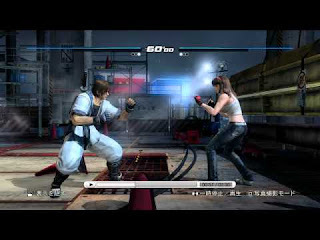 The game has received a ton of attention despite tomorrow's (Sept. 11) release of Tekken Tag Tournament 2 (TTT2). DoA 5 has its own fightstick made by Hori on the horizon as well as a Collector's Edition. Fears of oversaturation in the fighting game market haven't deterred Tecmo Koei as they predict DoA 5 will sell one million copies. The hype hasn't stopped as the game's developer Team Ninja recently held a DoA 5 tournament. The finals see characters Hitomi and Hayate do battle. See how it unfolds, after the jump.